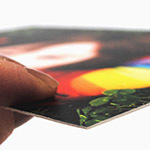 A lightweight rigid board ideal for smaller point of sale prints and counter top boards (often called strut cards). 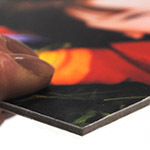 The board has a smooth matt finish to both sides and is grey centred. 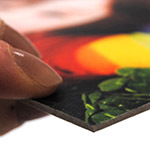 A lightweight rigid board ideal for small to medium point of sale prints and counter top boards (often called strut cards). The board has a smooth matt finish to both sides and is grey centred. Smooth matt finish to both sides, grey centred, ideal for short term internal display where economy is important.